It all started in downtown New York City in 1922 by Luigi D'Andrea who sold the first box of picks to the G. Schirmer & Son Co. a New York music store. He knew he had something to build on here, and so he started a small factory on 27th St. NYC.! 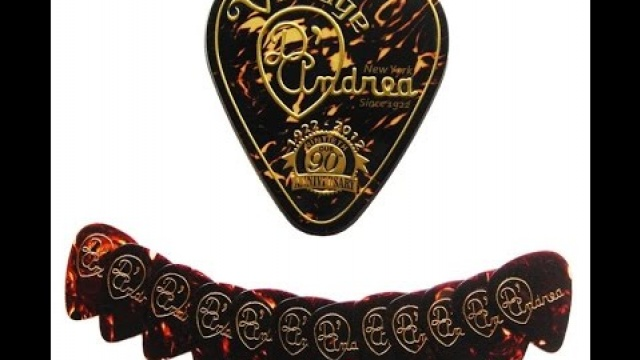 Since 1970, Tony D'Andrea, grandson of Louis took over and expanded the business by adding accessories, guitar straps and cleaning tools; addressed the problem of Grip on the picks and thickness, has experimented with new materials and new techniques of production to custom print on the pick itself. Today, D'Andrea USA serves a customer base all over the world with hundreds of musical accessories, products for the treatment of guitars and straps and is proud to offer the best picks, professionally designed for a perfect sound forever.